GIMP, which has long been the cornerstone of the Linux-using graphics professional, recently announced the release of version 2.6, exciting graphics professionals and enthusiasts alike. GIMP 2.6, a prelude to the final major release, is not the only significant release in GIMP's life cycle, but it does deliver far-reaching changes in the GIMP core. In this review, I'll take an in-depth look at the new GIMP. Since the Libre meetings about a year ago, the GIMP project has gained a usability expert, a few interaction designers, and more developers, and their input is quite visible in this release. GIMP's interface, which made it unique and usable in its own right, is now being redesigned to accommodate much-needed changes. 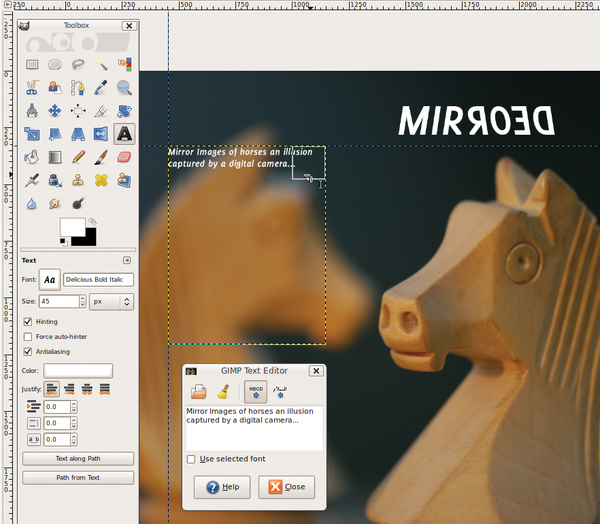 GIMP now opens up with two dock windows and an image window (Figure 1). If you have been using the previous versions, the newer and leaner interface comes as a refreshing change. 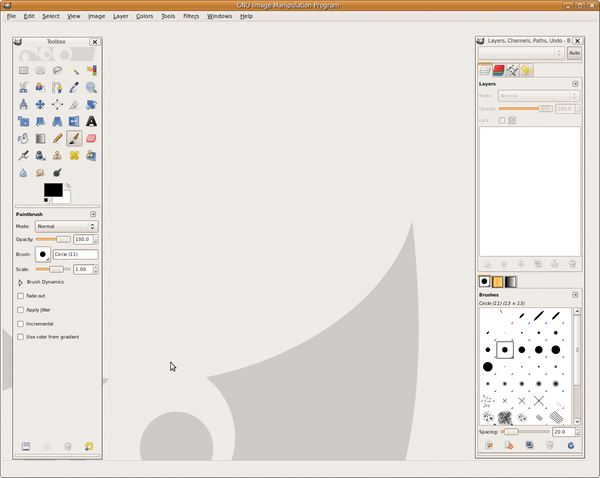 Figure 1: GIMP 2.6 showing the default interface. Also, you might notice that GIMP no longer throws three buttons at the task bar. Instead, the dock windows in the new GIMP are now transient to the selected image window. Under the window managers, the dock windows will always open up on top of the image window. Unfortunately, the new release also offers a few quirks. When you minimize the image window, the tool dock window and other dock windows stay put and are not minimized along with the image window to which they are supposedly transient. Furthermore, the main toolbox also loses the menu entry to the better and full-fledged menu entries in the image window. Strangely though, the toolbox's place is now occupied by a Wilber splash screen, which serves no useful purpose. The interface is more carefully detailed now. For example, the text in the dock windows is smaller by default, reducing the width of the docks (Figure 2). The thin border line around the docks is now gone for good, making the entries cleaner and more structured. Going even further with the user interface surgery, the ruler bar is smaller, freeing up some useful space. Figure 2: The smaller text in the dialog box enhances the interface experience. The tool bar itself has been overhauled, and most entries have been moved to better places. Dialog is now replaced by Window, and plugin entries now find a better place in the Filters | Script-Fu or Filters | Python-Fu. 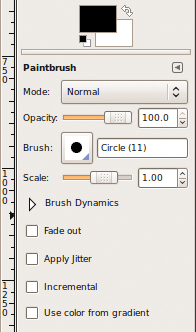 One of the most useful changes in GIMP 2.6 that might go unnoticed is the tooltips. New tooltips have been added, and existing ones have been edited to provide better information, but the real improvement here is the new feature that allows context-based suggestive tooltips, which makes learning a tool a lot easier. Again, care has been taken to improve the small things, so GIMP now shows the keyboard shortcuts in bold font in the tooltips. One of the oldest annoyances in GIMP is the text tool. Thankfully, this tool is also being overhauled. In the GIMP 2.6 release, a small addition to the text tool now makes it possible to have a bounding box for the entered text. To get a bounding box, first select the text tool and draw a text bound on the image window, just as you do for a rectangular selection (Figure 3). Any text entered in the text dialog box will always stay inside the text bound, which will make graphics designers happy because they can now easily place various columns of text wherever they want them. Because the text box is a layer, it can be snapped as well. Furthermore, the text box can be scaled any time. To do this, select the text tool and modify the bound just as you would for selections. Figure 3: The new text tool bounding box in action. The real gem, however, is coming – you will be freed from the tyranny of the text entry dialog box forever! The change is already in the list of the GIMP's Google Summer of Code project and will happen in subsequent releases, possibly as soon as the next release.